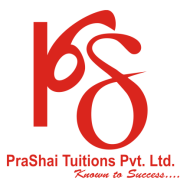 PraShai Tuitions Pvt. Ltd. was established in 2008 with simple orientation to give your child a safe and more pleasurable environment at home which gives you the opportunity to monitor progress more closely. At prashai tuitions we offer a range of teaching programs based on the needs and requirements of the students. Starting from it classes in Mumbai to Engineering Tuitions in Mumbai we provide it all under one roof. Our focus is to cover the whole syllabus also we work on previous examination papers to ensure that the students are familiar with the examination pattern. The sole aim is to add confidence when they sit for their final papers. Spoken English, French, German, Hindi, etc. We conduct in-house workshops, seminars, communication skills, writing skills, time management and presentation skills. We have corporate trainers who are certified by the various corporate institutes and also have good experience with reputed organization, corporate offices. Class VI fees will be Based on the Board and Days for this 5 days in week and each lecture will of 1.5hr. It is located in Usha Nagar, Mumbai. It takes Regular Classes- at the Institute.